You are going to need a seat. Sit down. Relax. Prepare yourself. Are you ready? You’re not ready, but that’s ok. You’re about to have your socks knocked off. The original Chemistry EP was fantastic. It featured collaborations with 12th Planet, FuntCase, ShockOne, and Dubloadz. Now, the EP has been stepped up and not just a little bit. 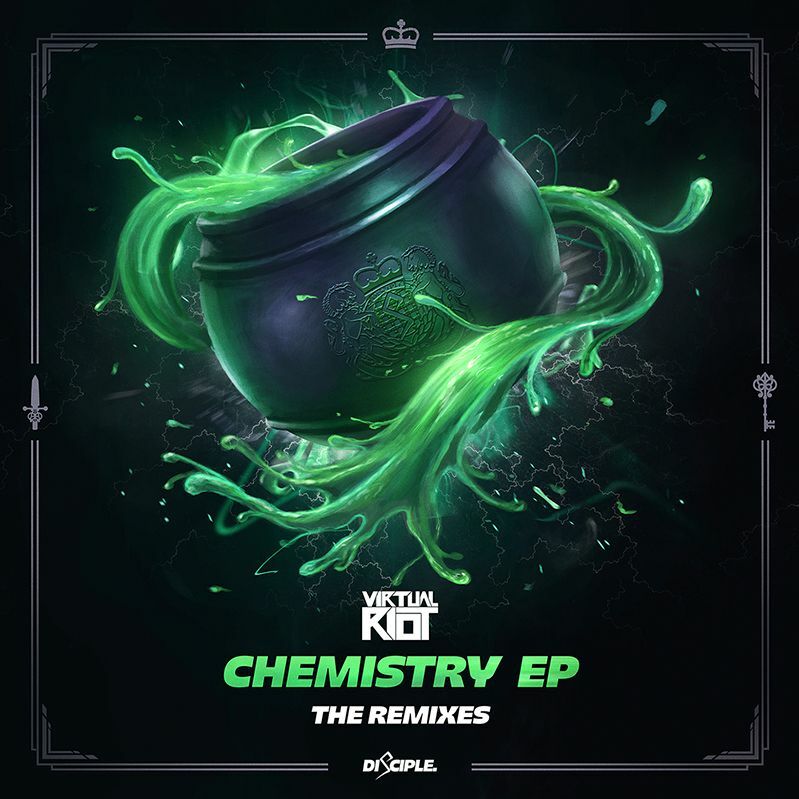 They Virtual Riot brought in big names: Pegboard Nerds, Downlink, Ekko & Sidetrack, & Oolacile to do some incredible remixes. It seems like every type of bass genre is packed in here. All the tracks are incredibly done and just so much fun to throwdown to. This is my new workout EP. Buy it on iTunes! Check it out now!